Join Capall Dorcha Theatre Company for their Musical ‘Night of Broadway’ at the Beacon Arts Centre on April 21st! 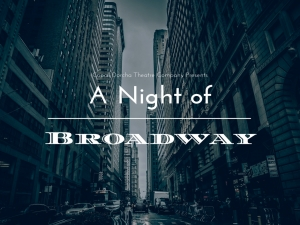 Join Capall Dorcha Theatre Company for their Musical ‘Night of Broadway’ Featuring a first-class professional cast who will transform your night, performing two hours cabaret featuring your favourite musical theatre songs from Les Miserables, Grease, Wicked and much more. The perfect night out for anyone who loves musical theatre! While we take every opportunity to ensure the details for A Night of Broadway are accurate, we always advise that you contact the event organiser before setting out for the event to avoid disapointment.